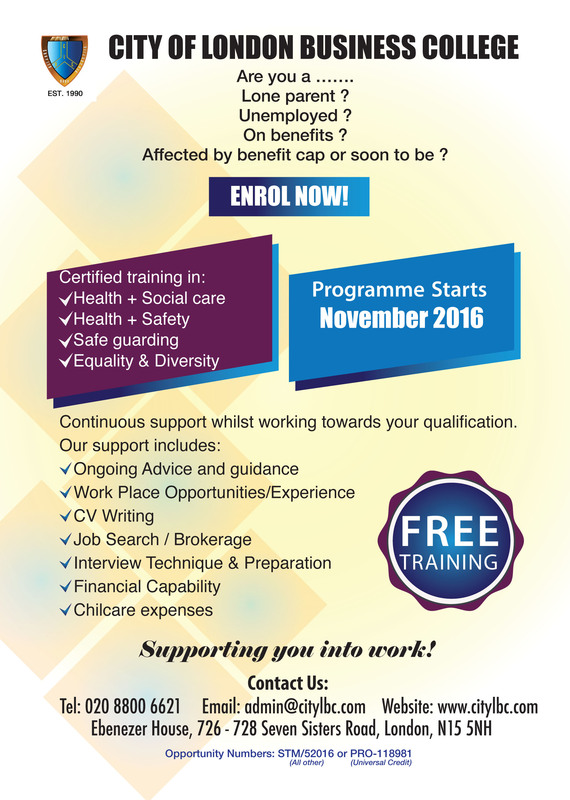 In partnership with North London JCPs the college is offering free training to lone parent and Bencap affected local residents. This 12 week course will get you trained in Health and Social Care with a recognised level 2 certificate to take away. CityLBC will arrange placements and job opportunities as part of the project. The course is conveniently delivered 2 times a week between 10am and 2pm. You could be a health care professional in 2017! Call us now on 020 8800 6621 or email on admin@citylbc.com to register. The gallery combines physical and artistic platforms, events and productions to broaden and enrich the tapestry of conversations around mental health as well as promoting works created by people affected b a wide range of issues. A regular feature of the student experience with CityLBC is the induction to the British Library. Just 10 minutes away by tube, the British Library is of enormous historical significance and is a fantastic resource for research. Group induction tours are arranged to help learners discover more about the Library's history, collection and architecture. A chance to join your group and tutors to see the year out in style with fun, food and music. Contact the admin office (admin@citylbc.com) to confirm attendance.